In Great Britain, Android continues to lead the smartphone market with 48.8% share, while iOS and RIM battle it out for second place with 20.2% & 19.2% share respectively. Android holds over 50% Sales share in developed markets. 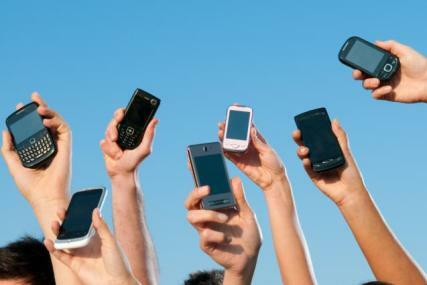 The latest data from Kantar Worldpanel ComTech shows that, in the 12 weeks ending 10th July 2011, a whopping 67% of all mobile phones sold in Great Britain were smartphones - the highest proportion of all 12 countries tracked by Kantar Worldpanel ComTech. Smartphones now make up 50% or more of all mobile phone sales in the US, Great Britain, Australia and Germany, with Italy, Spain and France expected to follow suit within the next quarter. With the smartphone market clearly buoyant it is Android reaping the rewards with an average market share of 50.6% across the seven key markets of Great Britain, United States, Spain, Germany, France, Italy and Australia. iOS holds second place with an average 25.1% share across the same markets. However, with the launch of the next generation of Apple iPhone seemingly imminent, Apple’s share is likely to grow in the coming months. In Great Britain, Android continues to lead the smartphone market with 48.8% share, while iOS and RIM battle it out for second place with 20.2% & 19.2% share respectively. Both manufacturers are likely to release new models over the next quarter and with the demand for smartphones seemingly relentless, Great Britain remains a key battle ground. Global Consumer Insight Director, Dominic Sunnebo explains: “It is easy to assume that because proportionally more Smartphones are sold in Great Britain, there is a higher demand than elsewhere. However, it is important to consider the different market dynamics of each country. The findings also show that while it has been a slow start for Windows Mobile 7, there are signs in Germany that consumers are starting to warm to the OS. Windows Mobile 7 now holds 7.1% share in Germany, having sold over 300,000 handsets since launch. While it is predominantly HTC, with its Mozart handset, driving these share gains in Germany, it will be comforting news to Nokia which is due to release its own Windows-based handset towards the end of the year. Windows Mobile 7 share remains in the low single digits elsewhere, but is slowly edging towards selling a million handsets in the all important US market.